Welcome back to my 4-part series helping you set the groundwork for your blog. Today we’re going to dive into how to stand out online and be seen. Once you’ve written your blog posts, your next step is to get people to read them. In today’s online world there are so many ways to share your blog posts and get eyes on your blog. 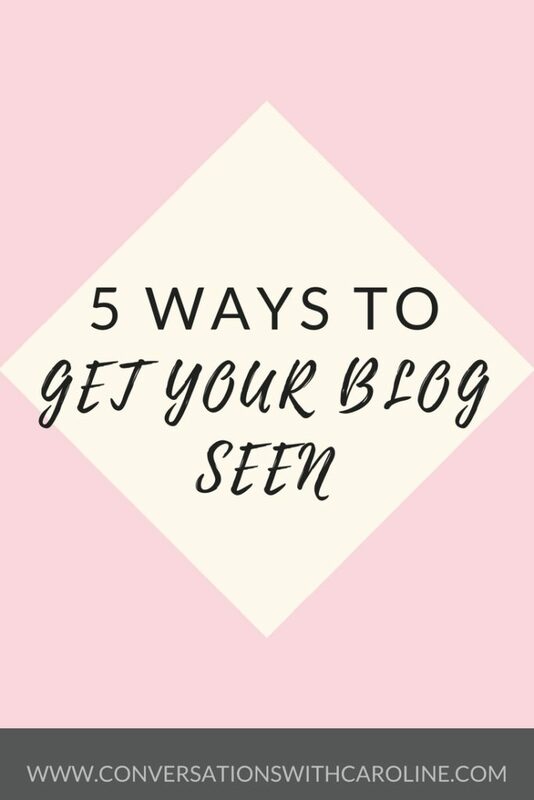 Today I’m sharing with you the top 5 ways which can help your blog be seen by other people. Although it can be nerve-wracking sharing what you’ve published, the only way to get people to read your blog is to promote it! Below are my top 5 ways to promote your blog. Sharing your blog post online through social media is one of the easiest and most obvious places to start. You can share using your own social media channels or create new accounts for your blog. When building an audience you want to focus on 1 or 2 social media platforms where you focus most of your time. However, for promoting your blog posts I would recommend sharing them everywhere – You never know who will see them! Facebook, Twiter, Instagram, Linked In, Google Plus and Pinterest are all great places to share links to your blog posts. Also, make sure your blog is linked up to platforms like Bloglovin’ so followers there will see your new posts. To keep a track of your social media sharing, download my Blog Planning Workbook below for free. Having an email list for your blog is one of the best ways to create an engaged audience. You can get people to sign up through your blog (the best way is by offering them some sort of freebie), then you can regularly send them emails. Within your emails, include links to your blog posts. People on your list want to hear from you so this is a great way to share and let these fans get to know you better! Although blogging is all online, meeting people in person can have a great impact in building relationships. Attending networking, meetups or bloggers events are all places you can meet people who might be your ideal audience. When people have met you face to face they will be more enthusiastic about what you are sharing and inclined to go and read your blog. Another way to gain exposure is through writing guest posts on other blogs with links back to your own site. The best way is to approach bloggers who write about subjects which will compliment your own blog. This way their readers will be more likely to read your blog as they will be interested in your blogging niche. Being found on Google or other search engines for the subjects you write about is an important way to gain organic growth. Using the keywords you want to be found by in your title, your opening paragraph and within your blog post are all key to being found by Google. If you use WordPress you can also add plugins to help with SEO such as Yoast. Being found by the search engines can take time but it’s worth it in the end. 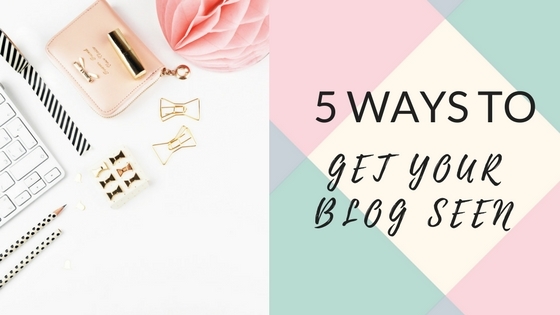 In the next instalment of this 4-part series, we will be sharing some tips from well-known bloggers!